If you have a child in the potty training stage, then you know the struggles of Moms and Dads across the world. I have a great solution for you to try . 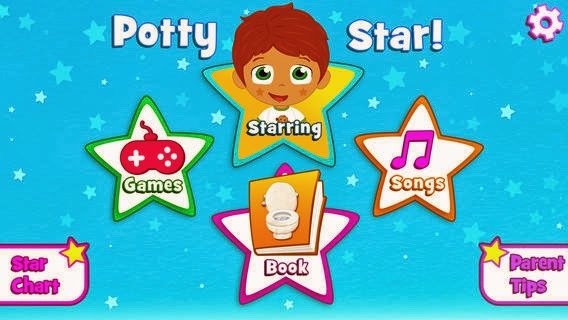 The Me-Ify Potty Star app available in the Itunes store for your Iphone or Ipad. I really like that the app can be personalized to the words you choose to describe "the process". 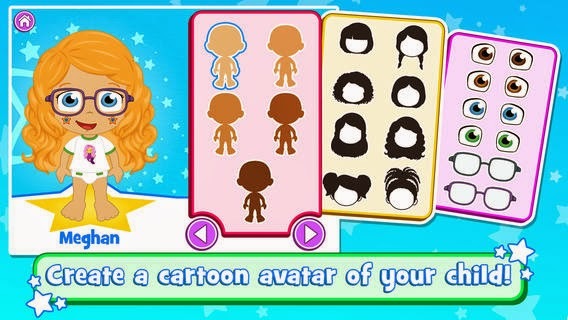 You can personalize with your child's name,hair color, eye color,and other key features, too. The app is great to have as a reinforcement to your verbal commands. They have a star rewards system and some great songs when the job is well done. It takes your child step by step through the potty process and cleaning up process in a fun way. This make potty training fun and not a chore. It is no secret to my readers that I have a son who is autistic and potty training has come back up at this point in his life. Yes, we are there again. Well, I was astounded with this app and how much he enjoyed using the app on his Ipad and hearing and seeing his name and getting rewarded with starts and a song, too. That type of personalization is key to triggering him to go to potty on his own (with his Ipad, of course). I urge you to check out the app if you have a child that is potty training, know a parent that is potty training their child, or if your child will soon be reaching the potty training stage. I have a lot of apps on the Ipad but this one is the most valuable for me. My son loves it. Check out the Me-Ify Potty Star app at the Itunes store. Also this is a great video HERE to tell you more about the app. I hope you all have successful potty training stories to tell me after using the app. Me-Ify Potty Star website is great place to learn more, as well. I wish you all to have successful potty training days in your near future.. This post is part of sponsored campaign with Me-Ify Potty Star and Mom Select. All thoughts and opinions are 100% my own. How neat is that, I have a child who will start potty training soon so i'll have to check it out! Thanks for sharing! I do not miss potty training at all!! This would have been an awesome app to have back when my boys were training!